Places to stay: Accommodation within Appletreewick is available at The New Inn and Knowles Lodge B&B (although the latter is not of particularly great age). Other options are available at nearby Burnsall (see below). 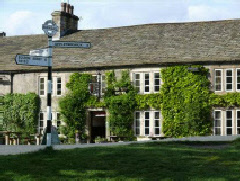 Places to stay: There are several period accommodation options within Askrigg itself including The Apothecary’s House, The Manor House, Holmedale B&B and Thornsgill House – details on all are available at TripAdvisor. 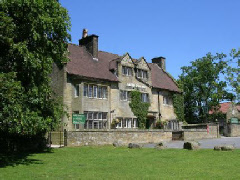 Places to stay: The only hotel we are aware of in Bolton Abbey itself is the Devonshire Arms Country House Hotel & Spa which dates, in parts, from the mid 1700’s. Those seeking self-catering accommodation, on the other hand, will find plenty of places to stay in the surrounding Wharfedale area through Dales Cottages. 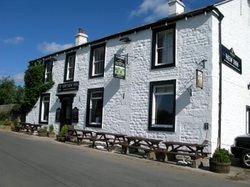 Places to stay: There are a fair few places offering accommodation in period surroundings at Grassington. 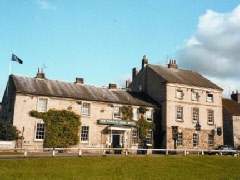 These include the 5-star rated Ashfield House which dates from the 17th century; the 300 year-old Black Horse Hotel; and the Georgian Grassington House Hotel. Details of these and others are available at TripAdvisor. Places to stay: Dating from the late 1800’s, The Mallyan Spout Hotel gets its name from a nearby waterfall and is located on the edge of the village, while there are a number of bed & breakfasts also available. 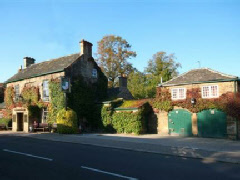 Places to stay: The Board Inn is an 18th century coaching inn within the village itself. Details for this and other places to stay in the immediate vicinity can be found at TripAdvisor. 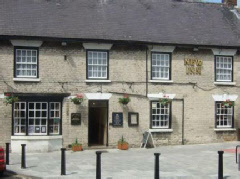 Places to stay: The Fox & Hounds is a small inn dating back some four centuries located within the village itself, as indeed is Hilltop House B&B – details for both are available at TripAdvisor. Indeed, so gloriously remote is Starbotton that there are almost no other places to stay for several miles. Places to stay: The Worsley Arms is a late-Georgian residence which boasts 18 bedrooms in all and is the only hotel for several miles in any direction. Otherwise, the closest inn offering accommodation is probably the beautiful Star Inn at Harome, around four miles to the north. Places to stay: The New Inn is an early-Georgian coaching inn which offers a total of six guest rooms, including a four-poster suite. There are also several period property options in Pickering, including the highly-rated 11 Westgate which offers bed & breakfast in a Victorian townhouse. Places to stay: Those seeking hotel or inn accommodation will find several options in Hebden Bridge including Moyles Hotel and Restaurant which blends a contemporary interior with its Victorian exterior. Places to stay: The Rockingham Arms is a grade-II listed inn within Wentworth itself, while also nearby is Tankersley Manor which is a former manor house dating, in parts, to the 17th century.